A new game built for Nintendo Switch; Super Smash Bros. 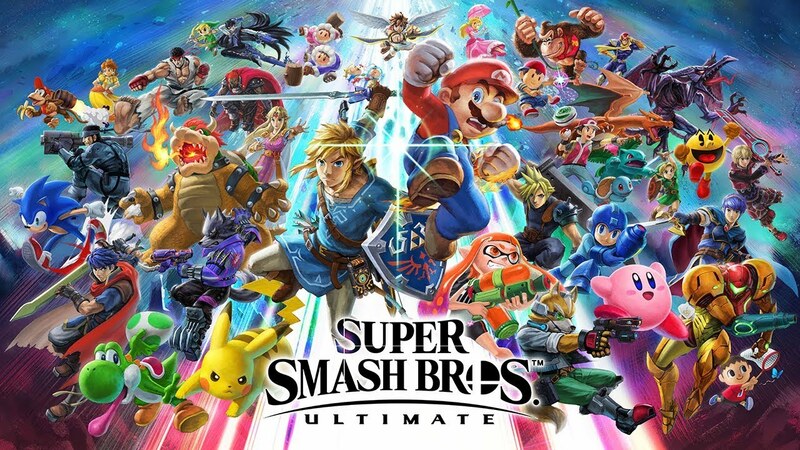 Ultimate lets up to eight players square off in action-packed battles that are all about smashing beloved video game characters off the screen. 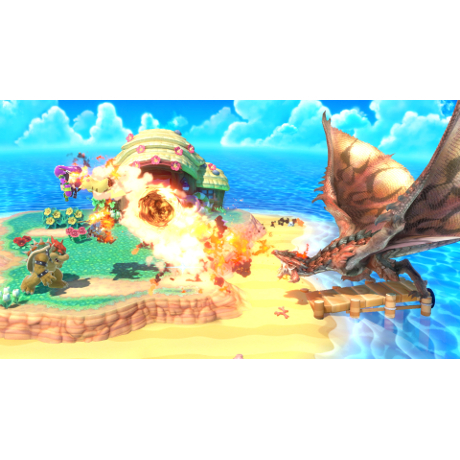 Legendary game worlds and fighters collide, with Super Smash Bros. 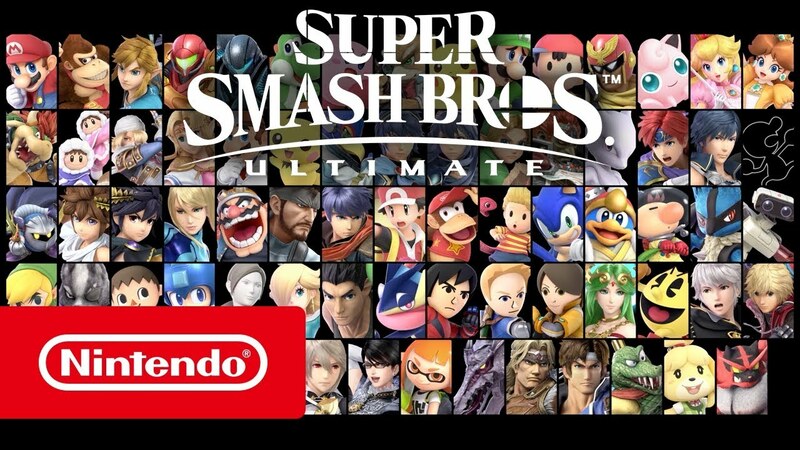 Ultimate including every single fighter ever featured in the series' nearly two-decades run, making it one of the biggest crossover events in gaming history. 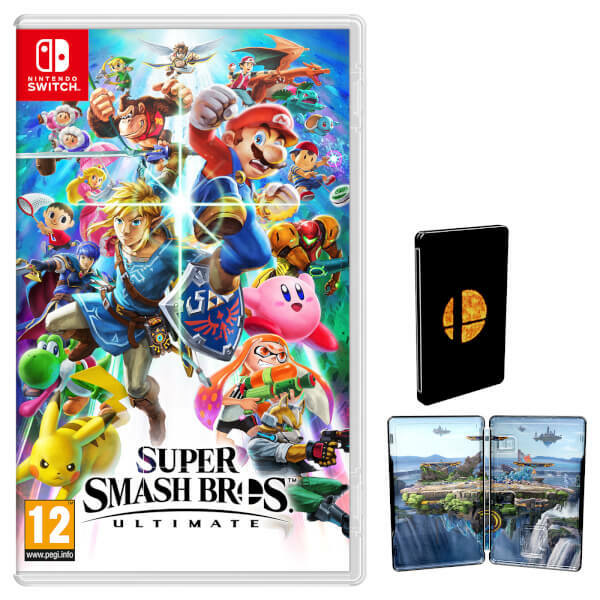 This bundle includes Super Smash Bros. 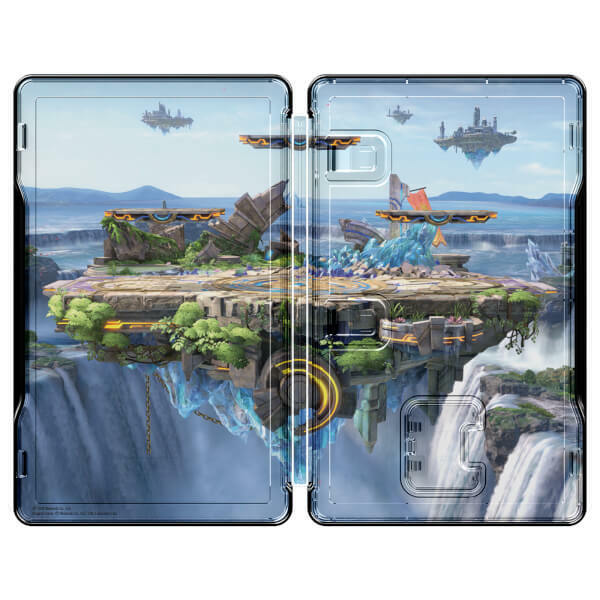 Ultimate and a free Official Steelbook! New fighters make their Super Smash Bros. series debut alongside every Super Smash Bros. fighter in the series! New challengers approach with the inclusion of Inkling from the popular Splatoon series, by popular demand, Ridley, from the iconic Metroid series, and old favourites, returning from past entries to join in the fight, with Wolf, Ice Climbers, Pokemon trainer and more! 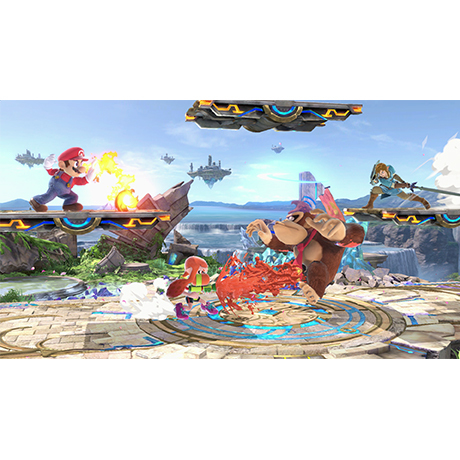 Elevate your Super Smash Bros. experience to new heights with faster combat, new attacks, new items, new defensive options and more features that will keep the battle raging whether you’re at home or on the go. Super Smash Bros. Ultimate has an expanded collection of new and returning stages, with the official total being 103 unique levels, which coupled with Battlefield and Omega forms of each stage, means that you have over 300 stages to choose from! As well as bringing back Classic mode from previous entries in the Super Smash Bros. Franchise, there will be new modes available to play! 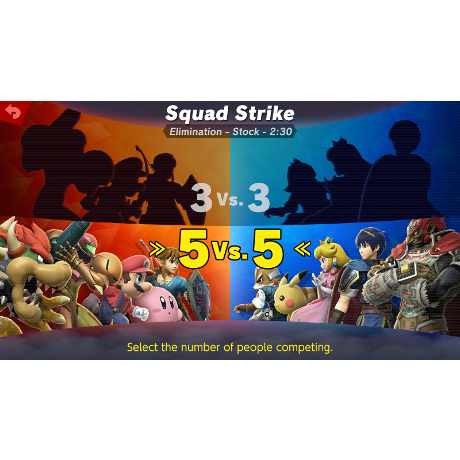 There is Squad Strike, a team battle mode where players can choose either 5 vs 5 or 3 vs 3 fights, and there is Smashdown, which renders fighters selected in a given battle unable to participate in the following battles, forcing players to try different characters! 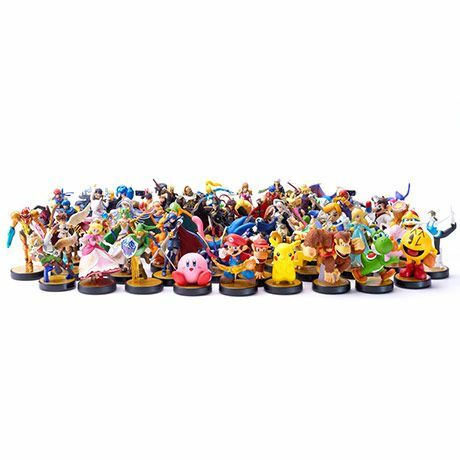 All current Super Smash Bros. series amiibo figures are supported, and will function exactly as they did for the previous entries on the Nintendo Wii U and Nintendo 3DS! 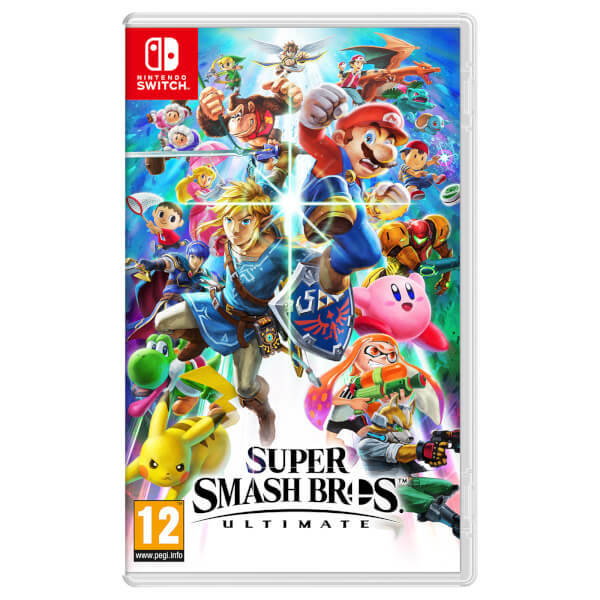 Order from the Official Nintendo UK Store today and receive the Official Super Smash Bros. 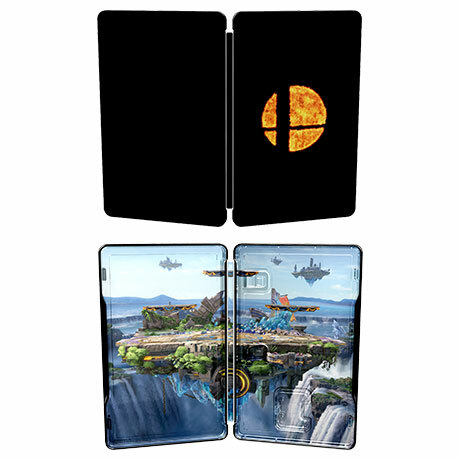 Ultimate Steelbook! Featuring the iconic Smash Bros. Logo on the front against a black background, while the interior has the vast natural vistas of the redesigned Battlefield stage, creating a stunning backdrop! 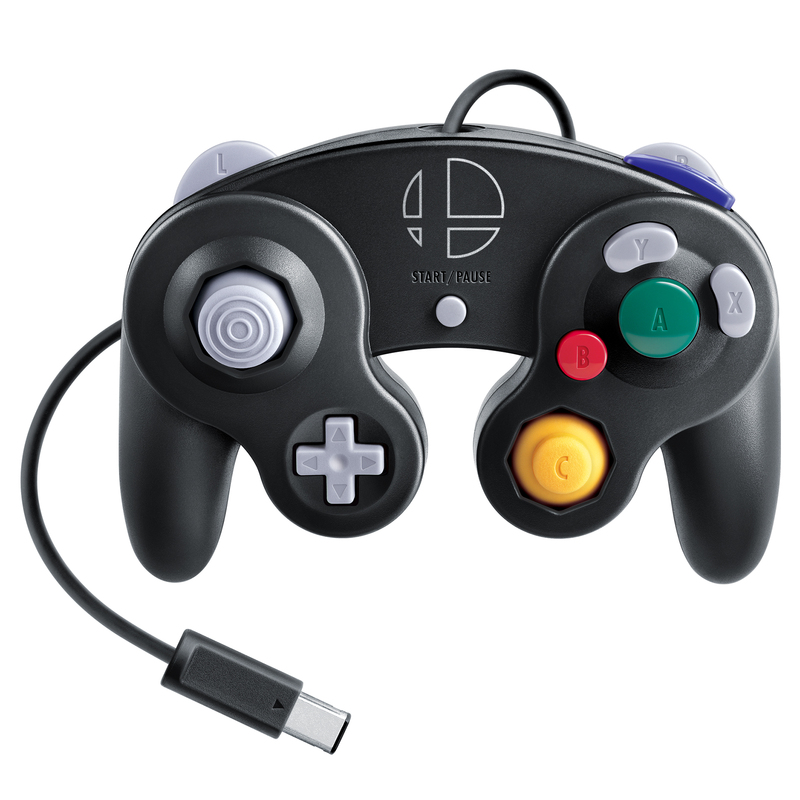 If you have a Nintendo GameCube Controller Adapter, you can use the Nintendo GameCube Controllers you already have to play Super Smash Bros. Ultimate! In addition, new GameCube Controllers designed for Nintendo Switch will also be available when the game launches. 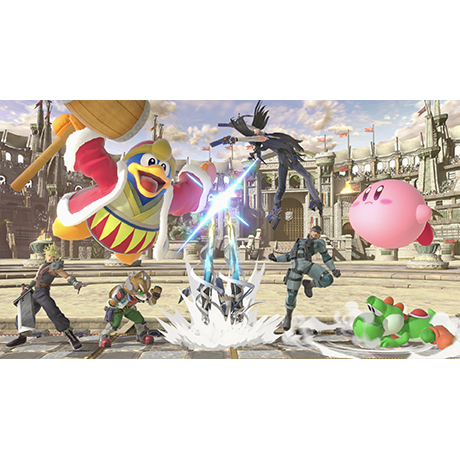 Developer: Bandai Namco Studios and Sora Ltd.
Get up to speed on all things smash before Super Smash Bros. Ultimate launches on December 7th, only on Nintendo Switch! Get Super Smash Bros. 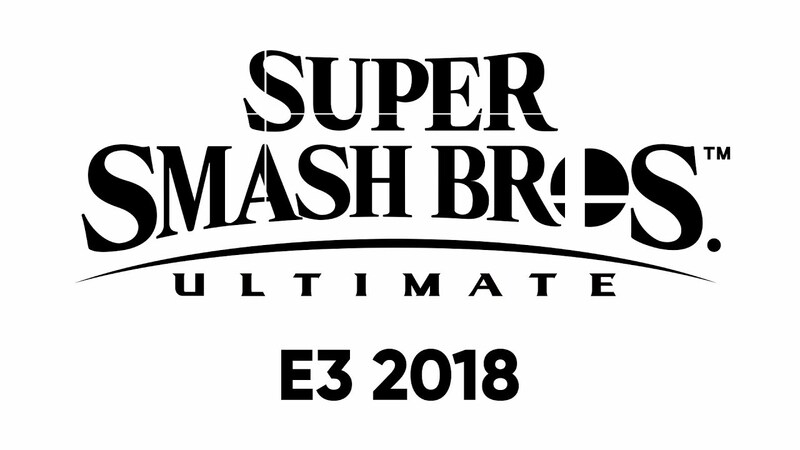 Ultimate updates from the Nintendo Direct: E3 2018 presentation! Super Smash Bros. Ultimate launches on Nintendo Switch on 07/12. A great new addition to the series, it's everything I could have hoped and more. They've really improved the customisability of the rule sets, which is great. The single player campaign World of Light is very fun and challenging. I've had a lot of fun playing with my friends and family. 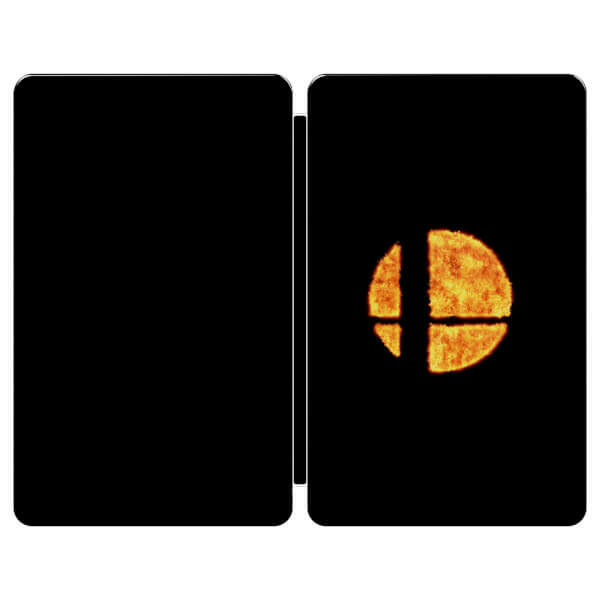 The steelbook feels nice and sturdy, has a clean, simple design, and is finished with a lovely matte texture.